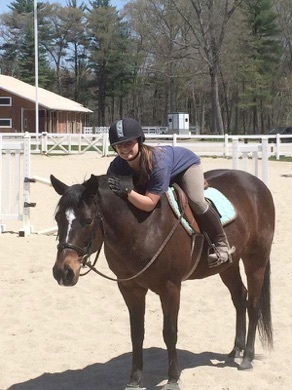 Serendipity Stables is proud to introduce Colleen Duggan-Cuomo as a Massachusetts Certified Riding Instructor. 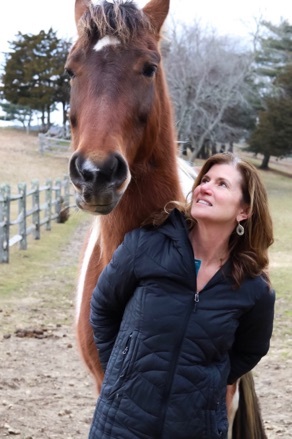 Colleen is a life-long equestrian and horse lover and has been a Certified Riding Instructor for over 17 years. She teaches riding classes that weave together ancient yogic practices and philosophy with modern day knowledge of anatomy and alignment. Colleen has been practicing and studying yoga for over 25 years and holds a 500-hr advanced certification in Transformational Yoga and is a Yoga Alliance approved continuing education instructor. Colleen is a practitioner of Reiki and Thai Yoga Massage and is certified in several yoga modalities, including prenatal, yin, meridian and aerial yoga. Along with teaching yoga and mindfulness classes, workshops and retreats, she also has had the privilege of teaching 200-hr yoga teacher trainings. She knows that yoga is a never-ending journey of self-discovery and continues her education on a regular basis. She has been influenced by and had the honor of studying with many world-class teachers. She and Paul David Shea are the co-founders of Breathing Lotus Living Arts in Plymouth, Massachusetts. We are excited to announce that Emily Taylor has completed her internship at Serendipity Stables and is looking forward to developing her own client base here at the barn. Emily is a Licensed Riding Instructor who has been riding since she was 5 years old. She is ecstatic to have the opportunity to be working with Dausha and the staff here at Serendipity Stables. She loves to share her knowledge and riding ability with students of all ages. 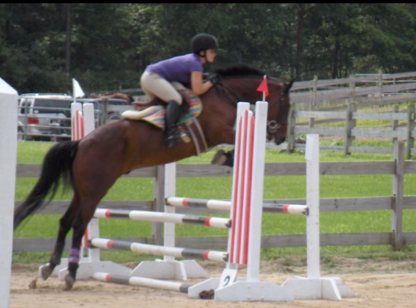 Emily has a background in Eventing, Hunter/Jumper, and Equitation. She has competed in Level One Dressage, rated Hunter Jumper Shows, and schooling events. 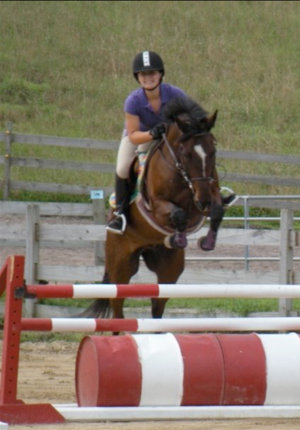 She has owned two amazing horses and has worked with three different instructors from the South Shore. She also has been a member of the United States Pony Club. In addition, Emily has been a Registered Nurse, earning a Bachelors of Science Degree in Nursing in November 2018. While riding and teaching riding — with her lifelong love of horses, she also works at Care One, a nursing home/rehab center in Weymouth, Massachusetts. Emily is certified in CPR, First Aid, BLS, ACLS, and the AED.